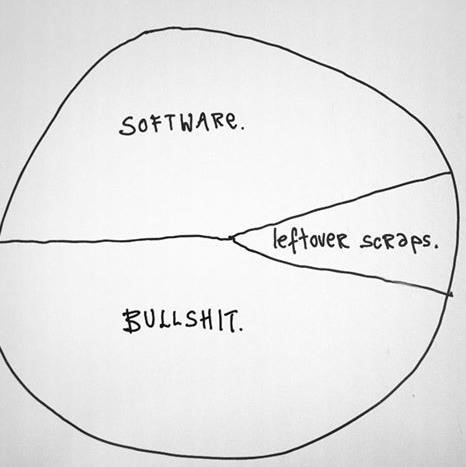 “Software is infiltrating everything we do these days. Software is going to be a major enabler in our society.” – Steve Jobs. The software revolution is coming. Well, for most parts of our lives, it is already here. One major omission is medicine. But for one of the most critical parts of health care – surgery – it is almost completely absent. 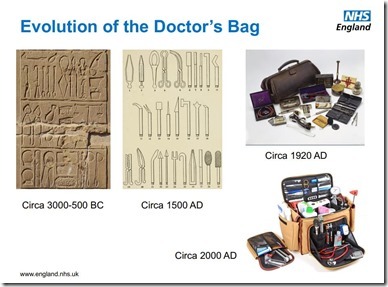 Admittedly, medicine needs to be conservative in its adoption of new things. Lives are on the line and patients can’t be the guinea pigs for innovation. The sector has justifiable speed bumps to ensure comprehensive testing for safety and efficacy before any new treatment or tool is put to use on a patient. Still, a good number of tools on the surgeon’s tray haven’t changed for millennia. NHS Head of Innovation, Tony Young, highlighted this constancy in his keynote at the Collorectal HTC symposium with the slide shown at the bottom. While many of these tools persist because of their ancient heritage, a number of operating theatre innovations have obviously emerged. Nonetheless, by and large, these innovations have largely been on the hardware and device side, not software. 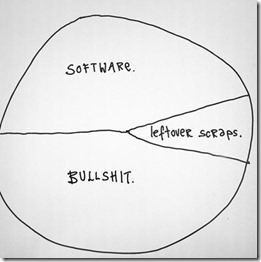 Yes, electronics have entered the operating theatre, but electronics is not software. A Cuisinart and microwave oven revolutionises the kitchen, but does not introduce the concept of software to it. While software has powered revolutions in most industries, its impact in healthcare to date has been relatively limited. Its primary application has been administrative operations (eg. patient records) and recently, consumer mobile health apps (especially with the surge in wearable devices with health sensors). Software technology in the operating theatre is largely confined to some embedded code in surgical devices. No open platform exists for the support and deployment of a range of applications using common shared services. Forclarity envisions a future of healthcare where surgical treatment is enhanced as much by versatile, intelligent and innovative software as most other sectors of industry. This vision forms the heart of the technology we are working on. We anticipate that the largest and earliest introduction will take place in the area of imaging, both diagnostic and (minimally invasive) treatment, since the imaging takes the first step into the digital world by digitizing the subject and the problem itself. At first, the applications will be simple, assistive, procedurally non-intrusive, and optional. They will be the equivalent of spell-checking for surgeons. If the software misses a “spelling error” (or proposes a correction that the expertise of the surgeon deems inappropriate and decides to ignore), the patient is no worse off than if no “spell check” was applied in the first place. But if the “check” catches even a small portion of ‘errors’, it can then improve the process and outcomes with minimal risk and effort. Over time, more sophisticated analyses will emerge, similar to how spell checkers have evolved into grammar checkers. Over time, text analysis has evolved from simple spell checking into even more intelligent applications such as “big data” mining for knowledge in archival documents and automated language translation. The application of software analysis to medical imaging has barely scratched the surface of its potential. It too will start with simple, discretionary, non-intrusive applications, but over time it too will evolve into a broader and more powerful set of digital tools for the modern surgeon’s armamentarium.